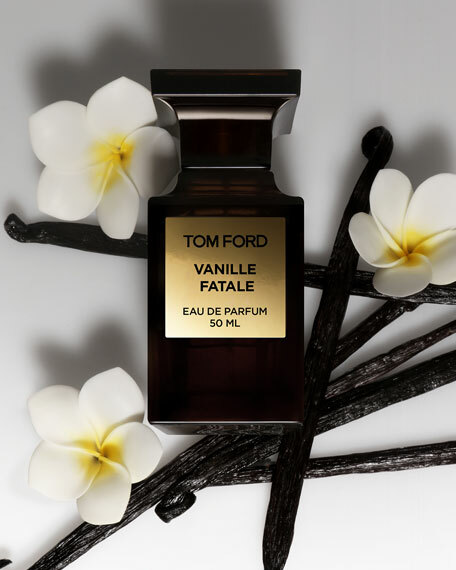 Vanille Fatale is a force of nature personified. A beguiling tempest that takes over like a rush of blood to the head. The impossible becomes real, too good to be true becomes true. Her or his unrelenting hold is fixed, refined yet raw, polished yet primal. The stirring spice of saffron and coriander opens the scent, infiltrating the senses with the gripping incense of myrrh and olibanum. Reverberating with the tobacco-like pull of roasted barley, the heart of Vanille Fatale is a perfect storm of roasted coffee absolute, narcissus and frangipani that seduces with grounded floralcy. 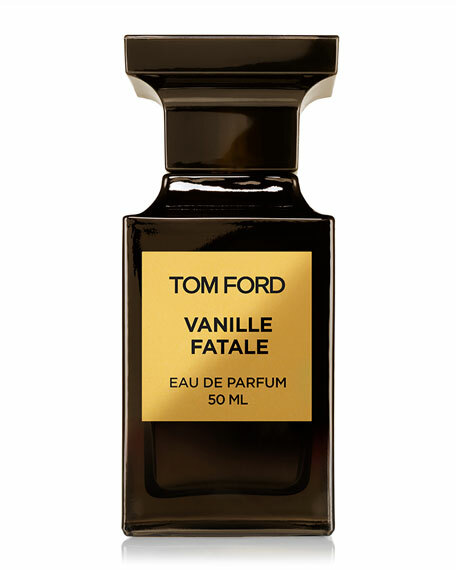 Madagascan Vanilla blends with rich mahogany, its smoky glamour made all the more exotic with primal suede at the finish. 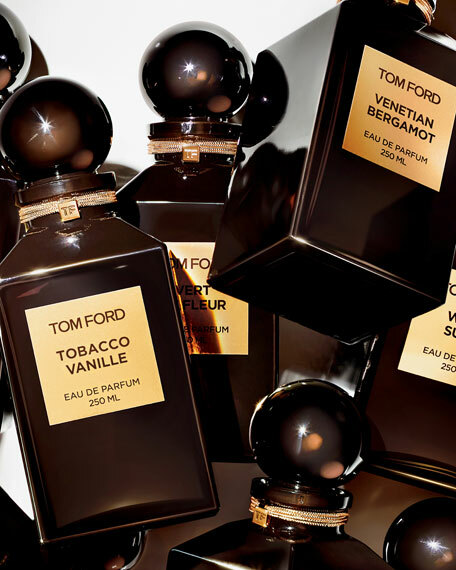 Get the beauty look inspired by Tom Ford's newest Private Blend MasterpieveVanille Fatale. Apply shade 2 all over lid. Blend with shade 3. Apply shade 4 on crease. Blend shade 4 on lash line into crease. Apply shade 1 to inner corner of eye for subtle highlight. Sweep Lip Brush 21 across bullet of Lip Color and apply to lips. May also be applied directly to the lips from the bullet. Add vibrant blush tone on cheek bone to deepen and define cheek color. Add highlighting shade to brighten and draw light to skin. Apply fragrance directly on the skin. Spray from a distance and give the scent time to develop.